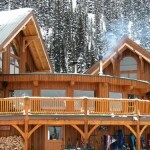 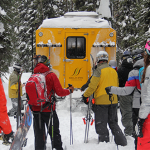 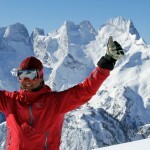 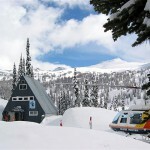 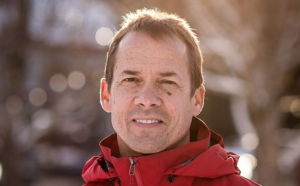 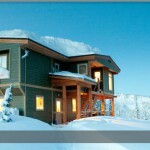 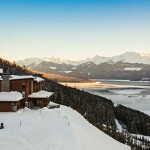 For 30 years Selkirk Tangiers Heliskiing have been skiing and boarding in the heart of BC’s Interior mountains. 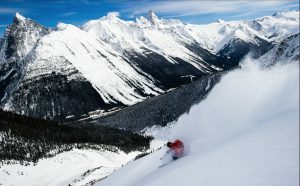 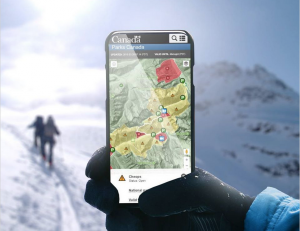 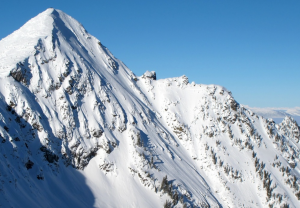 Their terrain borders two National Parks, Mount Revelstoke and Glacier, and contains some of the most famous heli-skiing territory in the world. 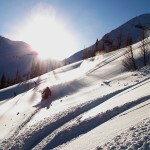 They ski both the Selkirk and Monashee Mountains, which are noted for their reliable powder snow conditions and variable terrain feathers. 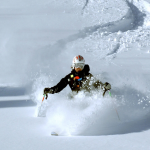 Over 200 established runs with countless options for exploring abound in this powder playground. 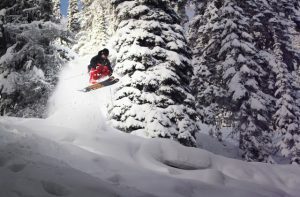 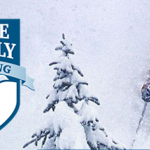 Some of the world’s best tree skiing is to be found in their 500,000 acres of terrain due to specific climatic conditions, species of trees and heavy reliable snowfalls. 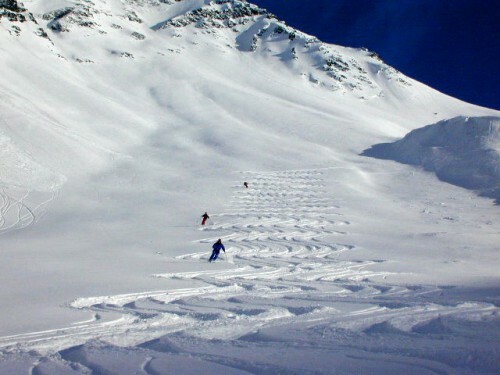 Most of their skiing takes place below 3,000 metres (9,850 ft). 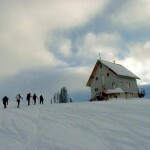 Runs vary from 500 vertical metres in length to over 2200 vertical metres. 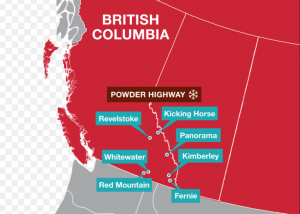 In the Columbia Mountains, snow means powder. 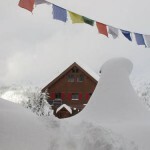 Annual accumulations can amount to 7 metres (23 ft) at tree line with 9 metres (30 ft) in the alpine and on the glaciers. 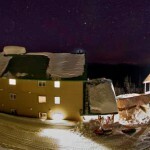 Snow starts falling in October, serving up early season turns in December and fresh powder until April. 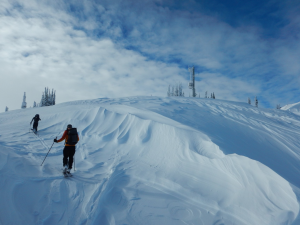 Average temperatures at the tree line are about -7C (20F), but during cold spells (at least one per winter) it can reach as low as -30C (-18F).